CAIRO: It is Christmas Eve for Egypt’s Copts but Marie Labib is not in a festive mood, with dark thoughts haunting her weeks after a church bombing killed 28 members of her community. Copts, who make up about one tenth of Egypt’s population of more than 92 million and who celebrate Christmas on Saturday, have long complained of discrimination. The Islamic State group claimed responsibility for the December 11 suicide bombing that killed 28 worshipers during Sunday mass in Cairo, the latest bout of bloodshed in the Muslim-majority country. “No one feels festive. I haven’t baked a cake,” said Labib, a 47-year-old mother of two who lives in the upscale Cairo district of Maadi. In her living room a huge picture of Jesus Christ hangs on a wall and a small Christmas tree strung with lights sits on a table. “Fear grips me each time one of my three children goes out,” she said, adding that she has urged her daughters to hide the cross worn around their necks “to avoid any possible attack”. 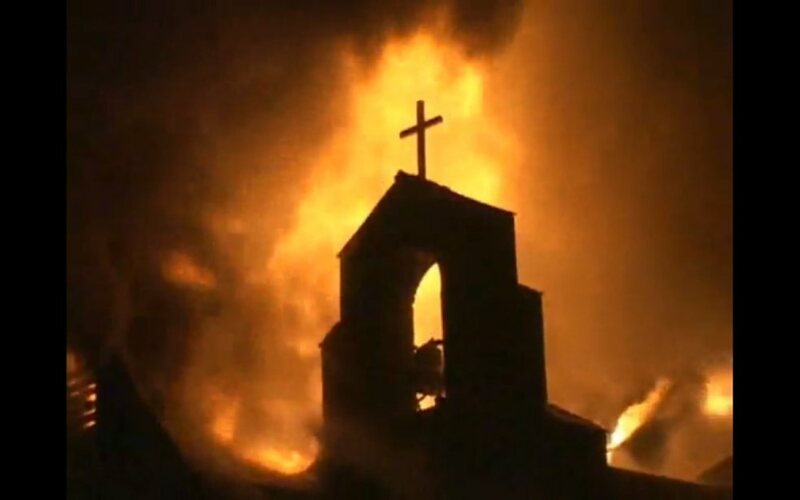 The church bombing as well as the murder on Monday in second city Alexandria of a Coptic wine merchant, whose throat was slit by a man for apparently religious motives, has compounded fears among Copts. “I don’t feel secure. It is as if someone could kill me thinking that this act would bring them closer to God,” said Marina Najji, one of Labib’s daughters. The 25-year-old bank employee said she would not heed her mother’s advice to conceal her cross under her clothes when she is out “because it is a part of me”. But she quickly added: “This is not a happy holiday and I hope it will pass without any problem”.